Hi lovelies! If you've ever dropped your compact only to have it look like the above left image, you're absolutely not alone. I would normally throw it away. But, there's a way to fix it, so it will be good as new! It works for eyeshadows, blush, bronzer, etc. You won't believe how easy it is, and best of all, I'm sure you've got all the objects you'll need on hand! 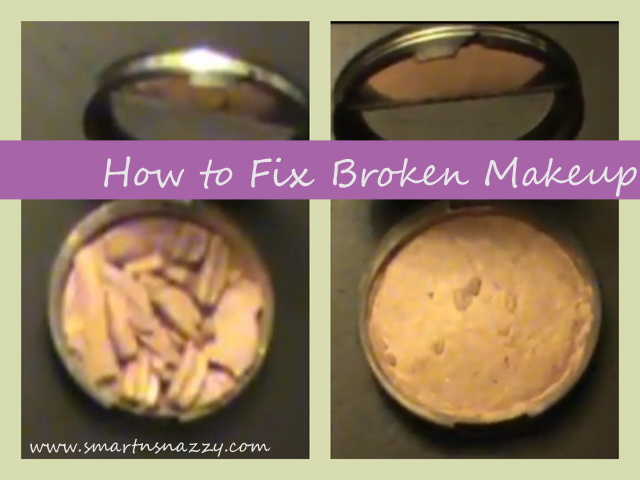 Have you tried to fix your makeup this way? Let me know how and if it works for you! I am SO excited about this because I drop my makeup all the time :) Thanks for sharing!